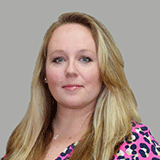 Amanda Goode graduated from Pasco Hernando Community College and has extensive experience in the nursing field. She is past director of Utilization Management at Springbrook Hospital, Director of Life Guidance at Atria Evergreen Woods ALF, and Charge Nurse for SNF's and ALF's. Amanda competently handles case management/utilization for PrimeCare.